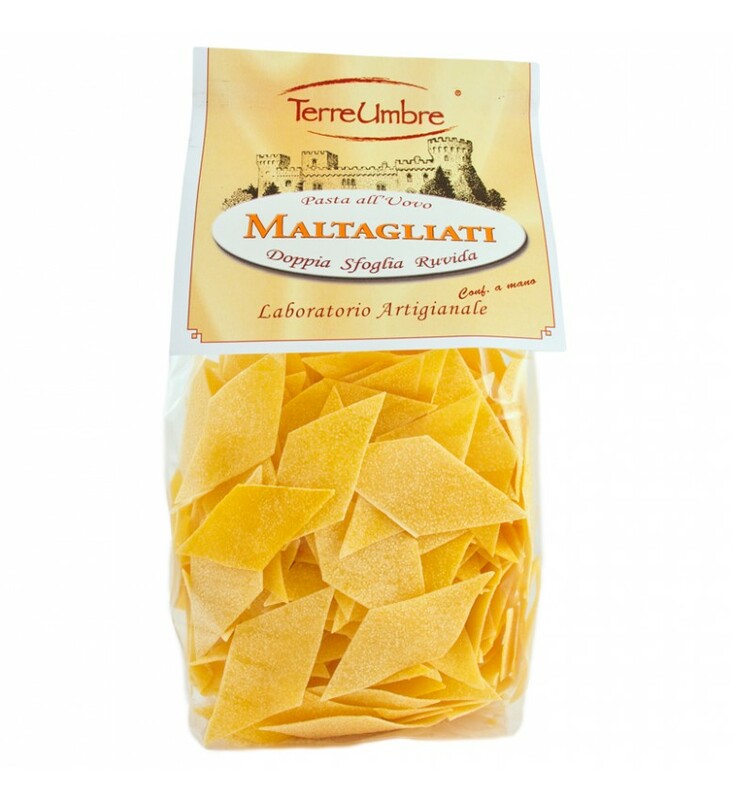 The Maltagliati are a format of fresh egg pasta that is characterized by the irregular shape of each "rag" of dough.They are great with white or red sauce. As each type of fresh pasta, Maltagliati require a bit 'of time of rest before cooking. It will prevent that the dough will break during cooking.